Adidas Golf makes the high-performing footwear with advanced technologies engineered to increase comfort and traction in your golf shoe. They didn't forget about style, either. Adidas Golf Shoes offer a variety of full-grain leather cap toe golf shoes with modern saddle styling. Adidas golf shoes use full grain because it is specially tanned to provide waterproof protection and a fine appearance. 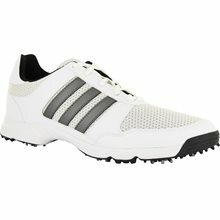 But Adidas does not stop there they line your golf shoes in leather for maximum comfort and durability in a golf shoe. Adidas golf shoes use Fit Foam, a foam technology that molds your golf shoe to the exact contour of your feet. 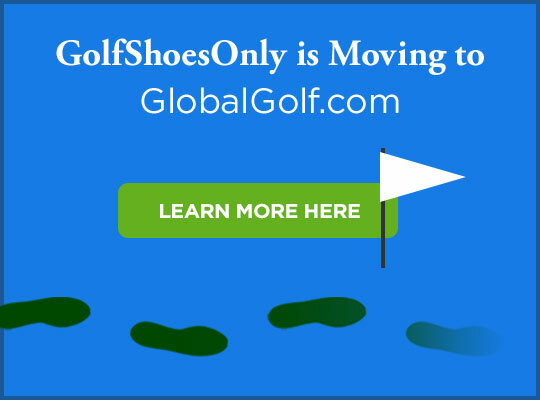 These golf shoes create a customized, form-fitting insole for the most comfortable golf shoe you’ll ever wear. Adidas golf shoes evenly distribute weight and pressure to eliminate hot spots. Adidas golf shoes ClimaProof is a combination of technologies working together to keep the foot cool and dry with, a wicking solution that removes moisture. Adidas golf shoes also employs the use of adiPRENE to provide an everlasting, cushioned absorption zone in the heel of the golf shoe. Adidas golf shoes protect the foot and reduce impact.